Profound, precious moments along the journey of life possess the power to leave impressions upon the human heart. It seems to me that these impacting variances to the general trend often occur unexpectedly, with impeccable timing and often host an unusual twist to what might otherwise have been an ordinary event. In awe, I appreciate the unforeseen greatness and provision of insight as I wonder along in my personal journey…enlightened…embraced…in motherhood. It is no surprise to me that my plight in life, as deemed prominent in my paternal line, includes a mushy, gushy – sometimes overly sentimental – side…often to my dismay. My grandmother has it, my aunt suffers and while it would be profusely denied, my brother has some tendencies as well. The worst case, however, belongs to my father, and after years of witnessing his “allergies” (as he has termed it) I have concluded that he is quite allergic to the script inside birthday cards and the finale of sentimental movies. Bearing all that in mind, I stuffed a few tissues into my pockets as we headed out to visit my great-grandma in her new placement at the care center. After making our way through a series of locks, knobs, buttons, ID badges and security, I received an endearing, heartfelt compliment. It came from a middle-aged man wearing a tuxedo t-shirt playing a lone game of checkers in a quiet corner of the entryway. His curious stare and innocently gaping grin left me with no doubt that he was a patient in the center. Eyes wide and with carefree excitability, he paused from his game to verbalize the very thought that had come to his mind. He admired my hair, saying that it was “sunshiny” …and that he liked it. He repeated it twice more before I left, each time with genuine sincerity, but that was not the moment that would leave a forever print upon my heart. The breath taking, tear welling, utterly impacting moment occurred suddenly as my children and I passed through a gathering room in the home. Several gracefully aged patients sat about in wheel chairs as visitors came and went. Placed between a resident staring intently at the bird-filled vivarium and a slouched gentleman snoring rhythmically in his chair, was a delicately fragile woman adorned in softly loosened skin. Her dainty pink gown tented her frail frame and her eyes gazed blankly off into the distance…in her arms, with the gentle, loving heart of a long-time mother, she clung to an oversized baby doll. It was the answer to such a question that evoked the physically emotional response. The aching in my stomach had made its way to my heart, making it difficult to communicate my answer. I reached into my pocket to retrieve a tissue, and in the strongest, most composed whisper I could voice, I explained to my four-year-old, “She was probably a mommy for lots of years.” The understanding was apparent with the uncharacteristically silent response from both of my children. We continued through the halls toward our intended destination to great-grandma’s room. With each passing door, my injured heartstrings were further tugged. Being that this was a small Colorado town and one of the few retirement homes in the community, the names on the doors were all too familiar. As I contemplated a quick dash to the bathroom for an emergency weeping, I had a realization. This generation had spent an entire lifetime together. They had made their journey, each along an individual path but intertwined with all the others and now preparing to depart. It was a beautiful thing. Great-grandma was as spunky as ever, still healing from injuries incurred while attempting things best left to those in their early nineties, but enough of a hopeful spirit to recover from and move on to her next strong-willed attempt at independence. She was a roommate to the grandmother of a childhood friend of mine. That little fact was surprisingly comforting to me. I left that day wondering about the life grandma had lived, her years as a young mother, a widow and her amazing faith that had impacted generations, providing me personally with encouragement through the years – particularly in my own experiences as a mother. Images of motherhood continued to dance through my mind as I made my trip back to the city…those of an imagined, perfectly intended devise…as well as ones witnessed that day in the unrelinquishing frailty of humanity. The thoughts were not haunting, heart rendering, yes…but certainly not without hope. In that brief moment on that single day, I saw something – the most important thing. It was remembered by that mother’s heart, embedded deeply enough to surpass the need for conscious recollection in a failing human mind – an emotion harnessing a power untouchable even to mortality. I saw a physical expression, a window into the dearness of a human soul – a sight to forever live in my own heart. I witnessed pure, true, insurmountable love for another human being. That kind of love – a mother’s love – triumphs and continues to live on…long after the journey of life is complete. 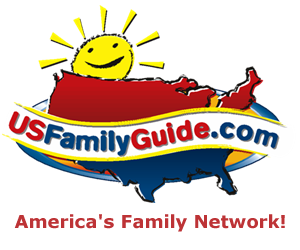 WIN one of 12 FaMiLY VAcaTiONs!!! Dirty Dash for FREE & Compete Against Team Fine sWine!!! Enter your email address here!